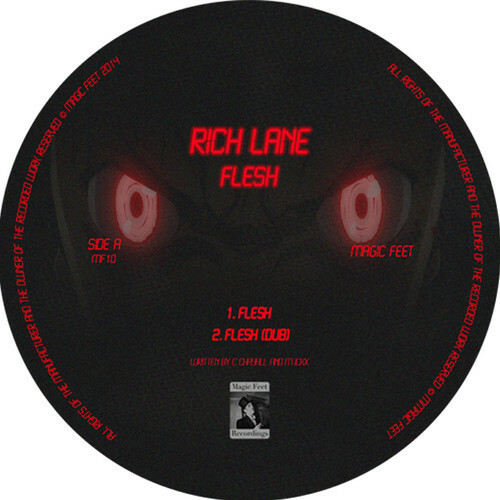 We blogged about Rich Lane last month with his excellent remix of Chugboat and he continues his impressive form with a remix of New Beat Classic “Flesh” by A Split Second . The remix uses the original riff and bassline to great effect albeit with a slightly looser groove and percussion giving it a very modern feel which would be perfect in a dark sweaty club !! Peza is an artist that I had not heard of before until I heard the track “NMN” on this EP and its a total beast of a track !Its the sort of tune that I can imagine Bratley, Weatherall, Smagghe, Club Bizarre etc all smashing out at a peak time in the set with its hypnotic bassline , acid riff and spacey percussion!